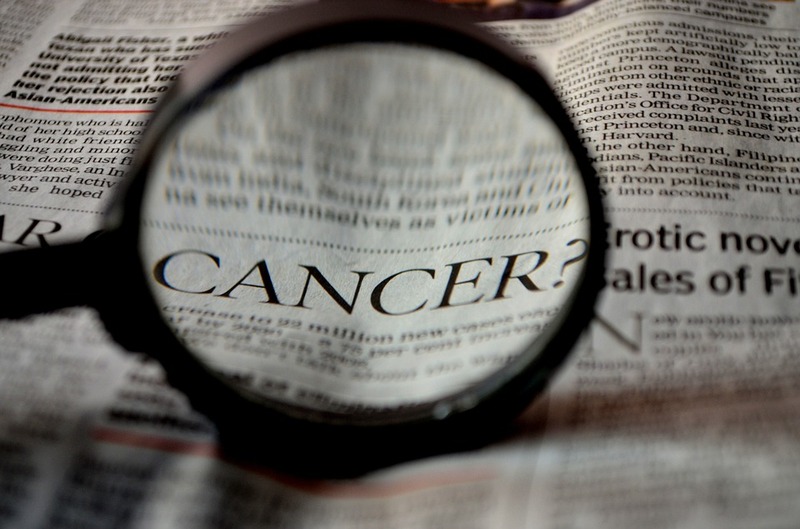 According to the World Health Organization, about 1 in 6 deaths were caused by cancer in 2015, making it one of the greatest health challenges of our time. Although the risk of getting cancer can be reduced by leading a healthy lifestyle, drug treatment remains the primary form of combatting this disease. Unfortunately, current treatments lack efficacy against many cancers, especially at later stages. Researchers are striving to improve anti-cancer drugs; however, low success rates, long development times, and high costs provide significant barriers in this process. Lowering these barriers is critical towards improving the quality and quantity of clinical treatments. In a recently published paper, researchers from Lehigh University, in Bethlehem, PA, explored how a rapidly developing three-dimensional (3D) imaging technology enables non-invasive characterization of in vitro tumor models for high throughput drug screening. 3D tumor spheroids are spherically shaped tumor cell clusters that use cells from well-established cell lines or are extracted from patients or diseased animals. They can be produced simply and rapidly outside of the body by specific culturing methods. Unlike 2D cell cultures that are commonly seen in the biology labs, 3D tumor spheroids serve as more accurate representations of human tumors, demonstrating similar nutrient gradients, oxygen and metabolic waste dynamics, and drug resistance. 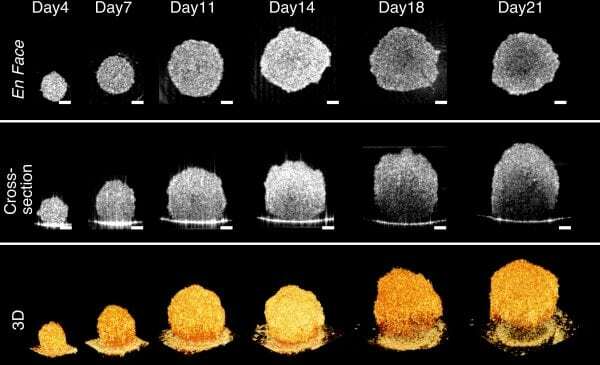 In this way, 3D tumor spheroids can provide more predictive value for preclinical anti-cancer drug screening. Researchers led by Professor Chao Zhou at Lehigh University utilized a 3D imaging technique called optical coherence tomography (OCT) to obtain high-resolution images of the inside of the spheroids. OCT is a rapidly developing optical imaging technique that works similar to ultrasound. Instead of detecting sound waves, OCT detects back-scattered light from different depths of a biological specimen. By transverse scanning at multiple locations, a 3D structural image of the spheroid can be acquired and reconstructed in a few seconds. The reconstructed spheroid images have a micron-scale resolution in all three dimensions. Furthermore, OCT doesn’t require any labeling or contrast agents in the spheroid, which allows long-term monitoring without damaging its cell structure. Researchers at Lehigh University used OCT to characterize 3D tumor spheroids that originated from brain tumors and colon tumors. They monitored the spheroids for over 21 days and observed sizes growing from ~250 μm to ~600 μm in height. They found that these two types of tumor spheroids exhibited distinctive evolutions in their geometric shapes at late growth stages: brain tumor spheroids remained tightly packed spherical shape throughout 21-day development, while colon tumor spheroids became disrupted and flattened after Day 11. By quantifying the growth dynamics of tumor spheroids in terms of size and volume, they demonstrated that OCT is an accurate and robust tool for spheroid imaging, even for those with asymmetric shapes. They further demonstrated that OCT can be used to identify necrotic regions within these tumor spheroids based on increased intrinsic optical attenuation. This non-destructive necrotic region detection technique was confirmed by comparing spheroid images obtained using fluorescence, histology, and immunohistochemistry with corresponding OCT attenuation images. Researchers suggested that this method could be a promising alternative to label-free cell viability tests in tumor spheroids. The next step in this process is to utilize OCT to evaluate how drug treatment affects the structure tumor spheroids. The researchers believe that the additional morphological and physiological information provided by this imaging technique, in addition to its high imaging speed, will directly improve efficiency and accuracy of the drug screening step. Furthermore, screening quality will increase as OCT speed and resolution are continuously improved. This study, Optical coherence tomography detects necrotic regions and volumetrically quantifies multicellular tumor spheroids, by Yongyang Huang, Shunqiang Wang, Qiongyu Guo, Sarah Kessel, Ian Rubinoff, Leo Li-Ying Chan, Peter Li, Yaling Liu, Jean Qiu, and Chao Zhou from Lehigh University and Nexcelom Bioscience LLC, was recently published in the journal Cancer Research. Yongyang Huang received his B.S. degree in Physics at Peking University in July 2013. Since September 2013, he has been a Ph.D student in Department of Electrical & Computer Engineering (ECE) in Lehigh University.His research area is focused on optical coherence tomography (OCT) and its applications in biomedical imaging.